"So, how might colleges and universities shape curricula to support and inspire the imaginations that students need? Here's one idea. Suppose that when students matriculate, they are assigned their own web servers – not 1GB folders in the institution's web space but honest–to–goodness virtualized web servers of the kind available for $7.99 a month from a variety of hosting services, with built–in affordances ranging from database maintenance to web analytics. As part of the first–year orientation, each student would pick a domain name. Over the course of the first year, in a set of lab seminars facilitated by instructional technologists, librarians, and faculty advisors from across the curriculum, students would build out their digital presences in an environment made of the medium of the web itself. They would experiment with server management tools via graphical user interfaces such as cPanel or other commodity equivalents. They would install scripts with one–click installers such as SimpleScripts. They would play with wikis and blogs; they would tinker and begin to assemble a platform to support their publishing, their archiving, their importing and exporting, their internal and external information connections. They would become, in myriad small but important ways, system administrators for their own digital lives. In short, students would build a personal cyberinfrastructure, one they would continue to modify and extend throughout their college career – and beyond. In building that personal cyberinfrastructure, students not only would acquire crucial technical skills for their digital lives but also would engage in work that provides richly teachable moments ranging from multimodal writing to information science, knowledge management, bibliographic instruction, and social networking. Fascinating and important innovations would emerge as students are able to shape their own cognition, learning, expression, and reflection in a digital age, in a digital medium. Students would frame, curate, share, and direct their own "engagement streams" throughout the learning environment. Like Doug Engelbart's bootstrappers in the Augmentation Research Center, these students would study the design and function of their digital environments, share their findings, and develop the tools for even richer and more effective metacognition, all within a medium that provides the most flexible and extensible environment for creativity and expression that human beings have ever built." Gardner Campbell, "A Personal Cyberinfrastructure," EDUCAUSE Review, vol. 44, no. 5 (September/October 2009), pp. 58–59. Jim Groom has outlined several key parts of this vision: "A Domain of One's Own," bavatuesdays, November 29, 2008, . W. Gardner Campbell and Robert F. German Jr., "The Map Is the Territory: Course 'Engagement Streams' as Catalysts for Deep Learning," EDUCAUSE Learning Initiative (ELI) Annual Meeting, January 21, 2009, podcast at "
"Just as video and computer technology attracted pioneering artists in the 1960s and 1970s, the Internet today is inspiring artists to tinker with the possibilities and boundaries of the World Wide Web. What started as a playful and often tongue–in–cheek experimental venture by a few code–savvy artists in the early 1990s has grown into a global art movement that is attracting attention from museums and private collectors. 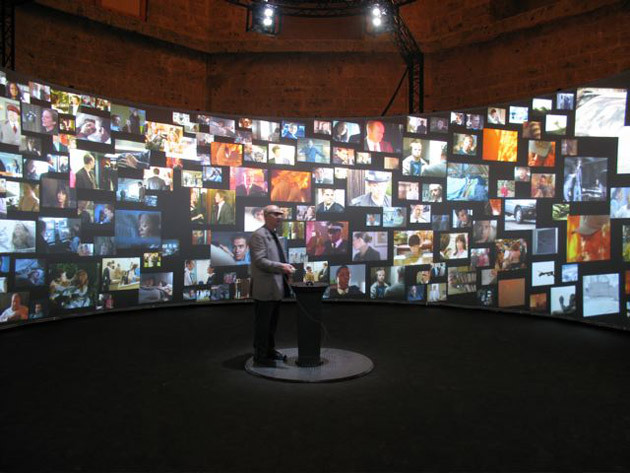 Karlsruhe–based media museum Zentrum fuer Kunst und Medientechnologie, or ZKM, has been running a series of net.art exhibitions. Berlin's Digital Art Museum recently showed the video performance 'Hammering the Void,' by Gazira Babeli, the pseudonym for an artist who exists only in Second Life, an online virtual reality game. Among the artists who first saw the potential for creative uses of the information superhighway were Belgrade–born Vuk Cosic and Amsterdam–based artist duo Joan Heemskerk and Dirk Paesmans, who perform under the pseudonym jodi on the Web. Their early digital works, much like the art being made today by Italian duo Eva and Franco Mattes – who call themselves 0100101110101101.ORG – often imitated or at least paid ironic homage to the clandestine machinations of computer hackers."